The next nine months are an exceptional window of opportunity for your clients to make family wealth transfers. The federal gift and estate tax exemption is $5,120,000, and both income tax rates and interest rates are at the lowest point in a generation. With federal deficit spending also at record levels, tax and interest rates seem sure to rise. Unless the President, the Senate, and the House of Representatives all agree otherwise, income and estate taxes will increase dramatically on January 1, 2013. There is also the risk that long-used planning strategies such as charitable deductions and valuation adjustments will soon be eliminated or limited. Advisors who understand this situation will be well positioned to help their clients take full advantage of this estate planning opportunity while it lasts. In this edition of The Wealth Counselor, we will explore how the current deficit spending is making the case to increase taxes, what your clients can expect in 2013 unless the President, the Senate, and the House of Representatives all agree otherwise, and how you can help your clients use advanced irrevocable trusts now to take advantage of this opportunity and save income and estate taxes. Both are train wrecks waiting to happen. Spending is more than 150% of income, yet budget cuts planned are less than 17% of income. Talk about “Another day older and deeper in debt”! For the federal government, it seems that either deeper budget cuts will have to be made, or income…in the form of taxes …will have to increase. The federal government can also print more money, which will eventually lead to inflation. In 2012, the federal estate, gift, and generation-skipping transfer tax (GSTT) exemptions are all $5,120,000 and the tax rate on any excess is 35%. Unless the President, the Senate, and the House of Representatives all agree otherwise, on January 1, all three exemptions will drop to $1,390,000 plus an adjustment for 2012 inflation and the tax rate on any excess will start at 45% and increase to 55%. In addition, the estate and gift tax “portability” provision will expire. * The most favorable estate/gift tax we have ever had will be gone ($5 million exemption to $1 million; 35% rate to 55% rate). * Interest rates, now at lows not seen in our lifetimes (2% overall, 1.4% AFR for intra-family gifts), will almost surely increase. * Charitable deductions, now fully deductible, may be limited to those in a 28% income tax bracket. * Long-term capital gain rates will increase from 15% to 20%. * Dividend rates will increase from 15% to ordinary income rates, which can be as high as 43.6%. * Valuation adjustments for family controlled limited partnerships and limited liability companies may be legislated or regulated away. Planning Tip: Encourage your clients to complete their planning before the end of 2012 to take advantage of this unique planning window. * 2503(c) Minor’s Trust: Used instead of a Uniform Transfers to Minors Account (UTMA) or Uniform Gifts to Minors Account (UGMA), must provide that any remaining trust assets will pass to the child on reaching age 21. * Family Bank Trust: An inter vivos bypass trust that mimics the tax avoidance benefits available after one spouse passes away but lets you have these benefits while someone is living. * Gifting Trust: Used for lifetime annual exclusion gifts (currently $13,000 per donor per donee) to children, grandchildren, and others to avoid the problem of the beneficiary having full control of sizeable assets at age 18 or 21. * Health and Education Exclusion Trust (HEET): Requires a significant charity beneficiary. For non-charity beneficiaries, distributions are limited to payments directly to an institution that is providing health care or education. Because of these limitations, neither contributions to nor distributions from the HEET are taxable. The HEET is especially useful when the client’s GSTT exemption has already been used. * Intentionally Defective Grantor Trust (IDGT) or Intentional Trust: Allows your client to use taxes on trust income to reduce his or her estate taxes. The grantor’s paying the income tax due because of the trust’s income is not an additional gift to the trust. * Inheritor’s Trust: Created at the beneficiary’s request for the benefit of a beneficiary. 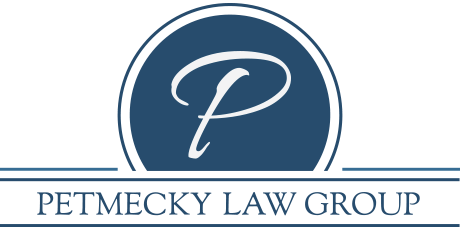 Typically used when a grandparent or parent doesn’t want to go to the trouble to create a trust that would keep their resources out of the beneficiary’s estate when they die. (E.g., the physician beneficiary who already has a taxable estate and wants asset protection for the inheritance.) The beneficiary’s child, sibling, friend, or spouse can set up the inheritor’s trust. * Life Insurance Trust: Set up by someone to hold life insurance on his or her life. Variations to the single-life insurance policy trust include second-to-die policy trust and spousal access life insurance trust. * Split-Interest Charitable Trusts: Charitable remainder trusts and charitable lead trusts. Planning Tip: Current interest rates, as low as they are, make charitable remainder trusts the least attractive, and charitable lead trusts the most attractive, they have been in a very long time, if ever. * Split-Interest Non-Charitable Trusts: These include grantor retained annuity trusts (GRATs), grantor retained income trusts (GRITs), qualified personal residence trusts (QPRTs) and qualified terminal interest property trusts (QTIPs). * Special Needs Trust: Allows for provision of additional benefits and services for family members with special needs (children, parents) without disrupting valuable government benefits. * Retirement Trusts (Stand Alone): Designed specifically to ensure the maximum stretch out for tax-deferred plans after the participant/owner’s death. Planning Tip: The Advisors Forum provides in-depth programs and additional information on all of these irrevocable trusts. Go to www.advisorsforum.com for more information. Even though an irrevocable trust once established cannot be revoked or amended by the trustmaker, careful planning at its establishment can empower someone other than the trustmaker to make changes. For example, a lifetime power of appointment given to someone other than the trustmaker can allow the term of the trust to be extended or a beneficiary (including a charity) to be added or dropped. Assets can be sold by the trustee to a new irrevocable trust with different beneficiaries and provisions. Non-judicial modification is allowed under the Uniform Trust Code if the trustmaker, trustee, and all beneficiaries agree. Decanting (transferring to another trust for the same beneficiaries) is a trust feature that is now allowed in 14 states, with four more pending. Planning Tip: A trust protector, whose role differs from a trustee’s and is common in offshore jurisdictions, is now often being used in domestic irrevocable trusts to allow for more flexibility without adverse tax consequences. An inter vivos bypass trust can create a lifetime benefit for the grantor with assets he or she “gives away.” For example, a wife can create a family bank trust with appreciating assets. As the trustee, her husband has access to the assets, can withdraw them and can even lend or give them back to his wife. Because they live in the same household, both will enjoy the benefits. A limited power of appointment can be given to the husband in the event he should die before she does and he can even appoint the property back to his wife. There are two GSTT exclusions. There is an annual exclusion (currently $13,000 per year per done per donor) for outright gifts and gifts to qualifying trusts. To be a qualifying trust, a trust must have only one current beneficiary and have provisions that will cause the trust assets to be included in the beneficiary’s estate for estate tax purposes. There is also the lifetime GST exemption ($5,120,000 million in 2012) that can be applied to transfers to non-qualifying trusts such as dynasty trusts and trusts with multiple beneficiaries. This is a split-interest trust. It is created by one “propertied” spouse for the benefit of the other “non-propertied” spouse as a method of equalizing the estates without the propertied spouse giving up control. All income must be paid at least annually to the beneficiary spouse to qualify gifts to the trust for the gift tax marital deduction. During the life of the beneficiary spouse, the QTIP trust can be a spendthrift trust, but any income that is generated in the QTIP trust is subject to attachment by the beneficiary spouse’s creditors. To qualify gifts to the trust for the gift tax marital deduction, the QTIP election must be timely made on the donor spouse’s Form 709 gift tax return and there is no cure if the return filing deadline is missed. The death of the beneficiary spouse before the donor spouse renders the beneficiary spouse the transferor for future trusts to which the QTIP trust assets are appointed. The donor spouse’s GSTT exemption can be allocated to the QTIP trust. The balance of this newsletter will focus on various grantor trusts. Tax code sections 671-679, which define and govern “grantor” trusts, were written in the 1950s as a deterrent to taxpayers transferring their assets to trusts to remove the assets from their estate to take advantage of the then-lower income tax brackets and rates that trusts enjoyed. If a trust is a grantor trust, these sections cause attribution to the grantor of all income and deductions associated with the trust assets. Some, but not all, trust characteristics that will cause a trust to be a grantor trust will also cause the trust’s assets to be included in the grantor’s estate for estate tax and GSTT purposes. Today, the grantor trust income and deduction attribution is used by estate planners in several ways to the taxpayer’s advantage. For example, a transfer of appreciated assets (real estate, stock portfolio, privately owned business) to a grantor trust is not an income tax recognition event. So, too, transferring assets to a grantor trust before they appreciate allows future appreciation to be removed from the grantor’s estate. Another grantor trust use is the “tax burn,” which occurs when the grantor pays the income tax on income the grantor trust generates, thereby removing assets from the estate without using any of the grantor’s annual exclusion or lifetime exemption from gift taxes. The grantor trust is also a permissible purchaser of existing insurance on the grantor’s life, which avoids the transfer for value rules. Planning Tip: Careful drafting of grantor trust provisions can provide certainty while giving more flexibility. For example, should the income being generated by the trust cause the grantor to pay more in income taxes than desired, if the trust is properly drafted the grantor trust provision can be turned off without affecting the estate tax exclusion feature of the trust. The trustee can also be given the discretion to reimburse the grantor for income taxes paid because of the income attribution. Planning Tip: For income tax reporting, the trust can have its own tax identification number, in which case a Form 1041 is required, or the grantor’s social security number can be used with no 1041 required. An ILIT lets your client remove life insurance death benefits and policy cash value from your client’s taxable estate, control the disposition of the death proceeds, and utilize the annual gift tax exclusion (currently $13,000 per person) for “Crummey” gifts to the trust so it can pay insurance premiums. It provides asset protection for the proceeds and creates liquidity at the grantor’s death by giving the trustee authorization to lend proceeds to the estate (to pay estate taxes and other expenses) and to buy assets from the estate. Planning Tip: In community property states, the non-insured spouse cannot contribute to the trust of which he or she is a beneficiary without causing inclusion in the beneficiary spouse’s estate. If the insured spouse does not have separate property sufficient to make the contribution, a partition agreement can solve this issue. With the current $5 million gift tax exemption, commercially reasonable installment sales to grantor trusts are now more commonly available to use and so are often preferred to grantor retained annuity trusts (GRATs). A sale provides more tax certainty than a GRAT because, for estate tax purposes, trust assets are included in the grantor’s estate if the Grantor dies during the GRAT term. To make the sale commercially reasonable, the grantor establishes an intentionally defective grantor trust, contributes assets to it and allocates GSTT exemption to the gift. This gift serves as the security for an installment sale of assets having a value many times that of the initial gift. It is common for the grantor’s gift to be 10% of the value of the assets sold, but as an alternative, financially solvent trust beneficiaries can guarantee the trust’s performance under the sale agreement. Whether creditors can reach a beneficiary’s interest in an irrevocable trust established by a third party is determined based on the enforceability of the trust’s spendthrift provisions, the beneficiary’s degree of control of the trust, and whether the beneficiary has an interest in the trust property. Typically, no creditor protection is provided for the grantor of a trust who is also the trust’s beneficiary. Such trusts are called “self settled.” There are, however, certain states (see below) and some offshore jurisdictions whose statutes provide grantors of certain types of self-settled trusts protection from some or all creditors. Common types of self-settled trusts include revocable living trusts, charitable remainder trusts and grantor retained annuity trusts. A grantor’s judgment creditors can reach the grantor’s interest in the assets in these types of trusts. Creditors can also reach mandatory distributions to beneficiaries such as the income interest in QTIPs, GRTs and CRTs. Planning Tip: It is especially important not to include mandatory distributions to a beneficiary from a special needs trust. Planning Tip: A special needs trust funded with assets that require mandatory distributions (such as a 401(k) or IRA) should not be a “conduit” trust. The states that currently provide creditor protection for certain self-settled trusts (domestic asset protection) are: Alaska, Delaware, Nevada, Rhode Island, Utah, South Dakota, Oklahoma, Missouri, Tennessee, New Hampshire, Wyoming, and Colorado (a Virginia statute is on the Governor’s desk). Planning Tip: Your client will want to weigh the costs and benefits of a self-settled trust vs. a non-self-settled trust, equitable division in case of divorce, and offshore vs. domestic asset protection trusts. These are techniques for leveraging gifts with distinct economic interests, with a division over time of ownership and the type of interest. The portion that is given away (the remainder) is taxed as a gift; that which is not given away is a retained benefit and is not taxed as a gift. Common split-interest trusts include charitable remainder and lead trusts (CRTs, CLTs), grantor retained annuity trusts (GRATs) and qualified personal residence trusts (QPRTs). Chapter 14 of the Internal Revenue Code was designed to reduce intra-family undervaluations of split-interest transfers and valuation provisions were put in place. Fixed annuity or unitrust amounts, exceptions under Code Sec. 2702, are most commonly used. Planning Tip: Split-interest trust tax calculations are made using the Code Sec. 7520 rate (120% of the federal mid-term applicable federal rate (AFR)) at the time the trust is established. Current low interest rates (mid-term AFR of 1.3% and 7520 rate of 1.56% are record lows) allow a grantor to make very large gifts to his/her family without using the gift tax exemption by using split-interest trusts. Planning Tip: The GSTT exemption can only be applied at the end of the estate tax inclusion period (ETIP). This is the time during which, if the grantor dies, the property will revert to the grantor’s gross estate. For example, if a QPRT is established for a ten-year period, the GSTT exemption can only be determined and applied at the end of the ten years when it is known that the grantor has survived the trust term and the property will not revert to the grantor’s estate. As a result, split-interest trusts are not appropriate for use as dynasty trusts. Planning Tip: A longer term means more risk that the grantor may not survive the term. Life insurance can be used to offset risk. A split-interest trust may or may not be a grantor trust during or after its initial term. With a GRIT, the grantor receives income from the trust assets for a certain length of time, then the remainder is paid to or held for the benefit of a remainder beneficiary. There is significant wealth transfer opportunity with low or non-income producing property. GRITs are no longer available to use with transfers to immediate family members, but they can still be used for business situations and for gifts to nieces and nephews, and are especially useful for non-marital life partners. A QPRT lets the grantor make a gift of his/her personal residence to family members while retaining the right to live in the residence for a term of years. QPRT gift tax calculations assume no appreciation of the home during the primary term. A QPRT is a grantor trust during the trust primary term, so the grantor continues to receive the mortgage interest deduction. The grantor also retains the exclusion under IRC Sec. 121 ($250,000 for a single person, $500,000 for a married couple) if the home is sold during the trust primary term. If the grantor dies during the trust primary term, the residence is included in the grantor’s gross estate. Planning Tip: Use multiple QPRTs of minority interests in the home to hedge the risk of the grantor’s and take advantage of the valuation adjustment appropriate for gifts of minority interests in real estate. Planning Tip: QPRTs have not been used as much lately due to low interest rates. However, if the grantor lives in a state that has a state estate tax and wants to make a gift to a child who expects to live in the house, assuming the grantor survives the term, any state estate tax can be eliminated. GRATs are less popular now that the gift tax exemption is $5 million. Nevertheless, they are well-suited for appreciating assets and discounts provide leverage. If the grantor dies during the trust term, the property is included in his/her gross estate. Multiple or “rolling” GRATs (e.g., maturing every two years) can lessen risk and, over time, provide remainder benefits for the beneficiary. Our very favorable planning time—with favorable interest rates, estate/gift taxes exemptions and rates, full charitable deductions, low capital gains and dividend rates, and available strategies—is very likely to end on December 31, 2012. The advisor who understands the various irrevocable trusts explained here and the urgency for clients to implement their plans during the balance of 2012 is in a unique position to help clients save substantial estate and income taxes, and will undoubtedly be a highly valued member of the advisory team.